When you specify the width or height of a control using a value that is a number, the value is interpreted in device independent units (1/96 in). On a 96 dpi display, device independent units are equivalent to pixels. 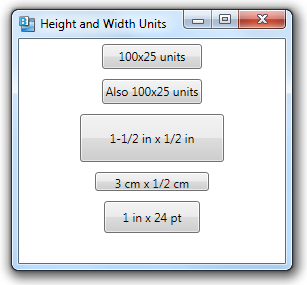 You can also add a suffix to the numeric value, indicating what type of units to use for the dimension.